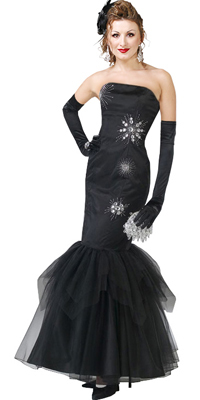 A mermaid cute dress will evoke a sense on interest and wow in every male present at the prom. This dress is a sure shot winner in the same. This dress is strapless with a bodice that is tight and bead work all over. The skirt or the bottom of the dress is flared up to give that mermaid look. This dress is fully lined.